He will continue the story of character Jean-Luc Picard in a new CBS All Access series. The title and release date is not yet known. 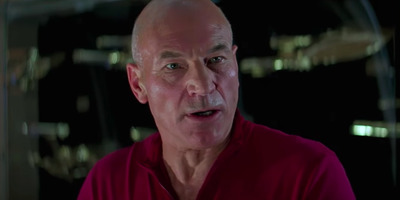 Patrick Stewart is returning to “Star Trek” – and he’ll continue the story of Jean-Luc Picard. The 78-year-old English actor, also known for his role in the X-Men franchise, is set to take the character’s story further in a new CBS All Access series, which does not yet have a title or release date. Stewart announced the news when he made a surprise appearance at the annual “Star Trek” convention in Las Vegas, according to The Guardian. “I will always be very proud to have been a part of the ‘Star Trek: The Next Generation,’ but when we wrapped that final movie in the spring of 2002, I truly felt my time with Star Trek had run its natural course,” he said. Stewart went on: “During these past years, it has been humbling to hear stories about how ‘The Next Generation’ brought people comfort, saw them through difficult periods in their lives or how the example of Jean-Luc inspired so many to follow in his footsteps, pursuing science, exploration and leadership. The executive producer will be Alex Kurtzman, showrunner of “Star Trek: Discover,” which is set to return in January.